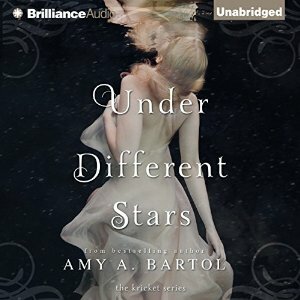 Amy A. Bartol is such an amazing author. If you have had the pleasure to read her Premonition Series which the “final” book comes out December 8th in case you were wondering.. then you already know this! She has such a way of building these worlds that overlap with Earth but are also so different and vast. It’s amazing to try to sit and picture the descriptions that she gives in this book especially. I am very happy to report that she is not just a one book or one series author. If you enjoy well developed characters, snarky heroines who are not damsels in distress, and epic sci-fi and paranormal worlds then you MUST read this series. Kate Rudd narrates this audiobook. I feel like she does a wonderful job with the story and the characters and helping you to feel what is being woven in front of you. I give this story as well as her audio performance 5 beans… on to book 2!!!! !